Each year ORAFCS awards grants and scholarship to students with a focus on Family and Consumer Sciences. We are happy to announce that we also award grants to teachers who are looking to improve their practice in the FACS classroom. 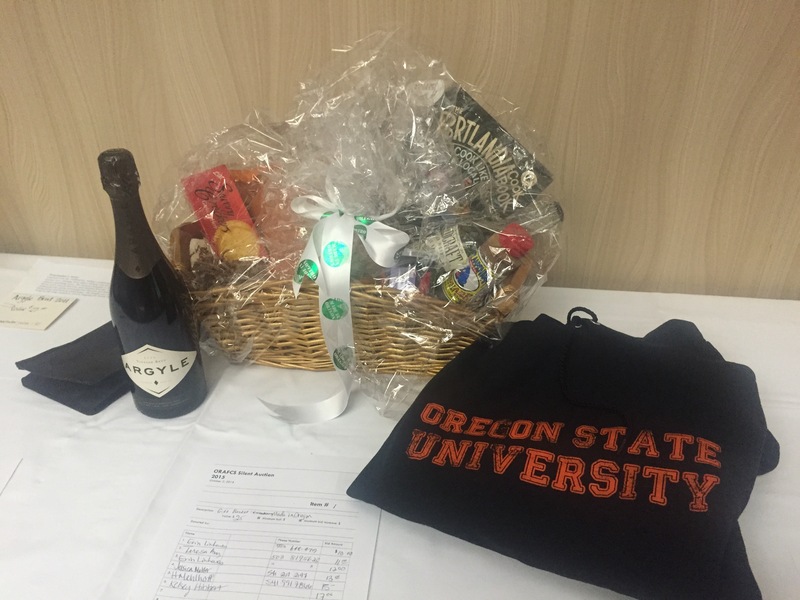 Each year at our conference we include a silent auction with many donations from local businesses and our membership. Scholarship opportunity for students entering a FACS profession. Attached is the criteria for applying for up to $1000 scholarship for a college or high school student looking to earn a degree in FACS at their Oregon College. Submit your application on Google forms here. Jessica Motter, student teacher at Philomath High School was awarded a student scholarship for Spring 2016. Jessica will be graduating and looking for a FACS position for Fall 2017! Gift basket for scholarship and grant auction. Over $800 raised in the last two years! Students in Family and Consumer Sciences Education student chapter of ORAFCS is active at Oregon State University. OSU has a Family and Consumer Science education program. Students in this program earn a bachelors in a primary degree and at the same time earn a bachelors of science in Family and Consumer Sciences Education. Students leave the university with two undergraduate degrees, a license to teach FACS in middle or high school and have been advised on how to earn a CTE endorsement. Students also can earn an ESOL endorsement during their educational program. Click here to visit the OSU FACS webpage for more information.